Double glazing brings a multitude of benefits, including a sharp decrease in noise pollution with the right glass combination that makes up the double glazed unit, greater insulation and better security, and with Sash Window Craftsmen, upgrading your sash windows to double glazing has never been so simple. 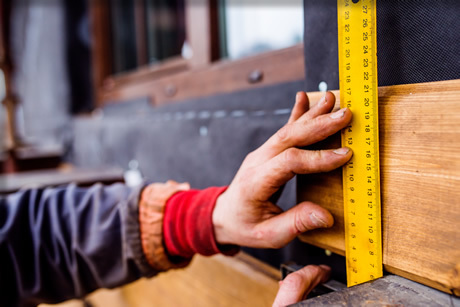 At Sash Windows Craftsmen, our consultants are with you every step of the way, from determining if double glazing is suitable for your units to the best approach in carrying out the upgrade. There are two ways to upgrade to double glazed sash windows: renovating your existing windows or replacing the entire units. Your consultant will guide you through the entire process and will work with you to determine the best course of action depending on your existing windows and your budget. 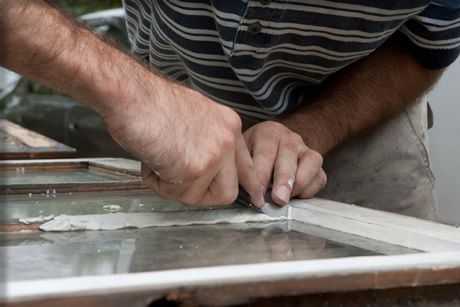 Our team can repair your existing case and produce a pair of double glazed sashes designed to fit your specific case. All glazing is made to your requirements and draught proofing incorporated for optimal performance. The main advantage of this method is less disruption to the household and less redecorating to be done afterwards. Alternatively we can build an entirely new window, including a complete case and double glazed sashes. Cases can be made using any timber. All windows are supplied primed and to your requirements, with draught proofing included as standard for optimal performance. Original stained glass can be incorporated into the double glazed unit if required. We also undertake curved work and have vast knowledge and experience in dealing with all aspects of curved windows including curved double glazed sealed units.